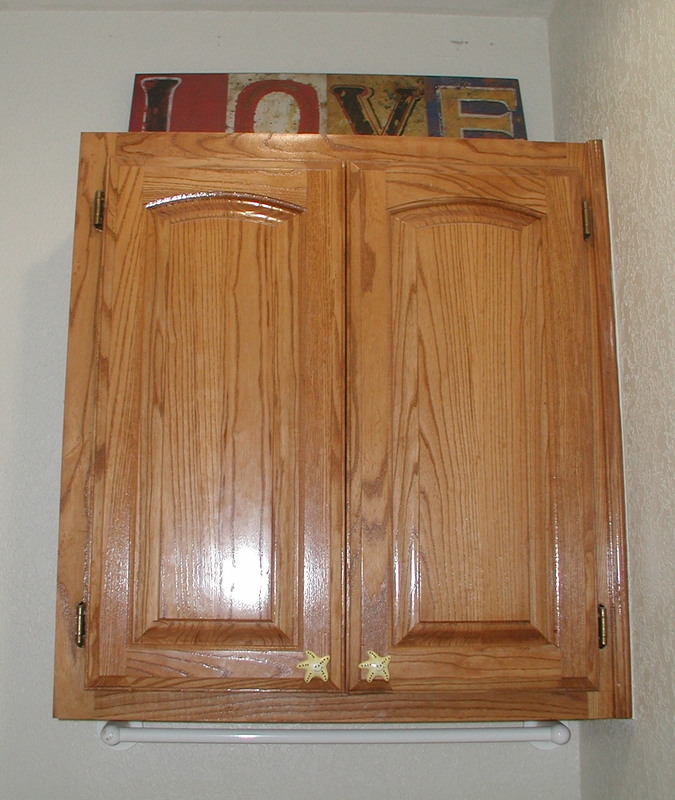 Husband did make me some new cabinet doors for the overjohn cabinet and the sink base cabinets for the kids bathroom as part of the major remodel (we had installed a new ceramic tile floor, new lighting, new counter, new board and batten walls, and a new toilet. If you search here, you can see the entire blog posts list for bathrooms). Those were painted and mounted this weekend. One of those – long dragging out projects that no one wants to do but needs to get done…. 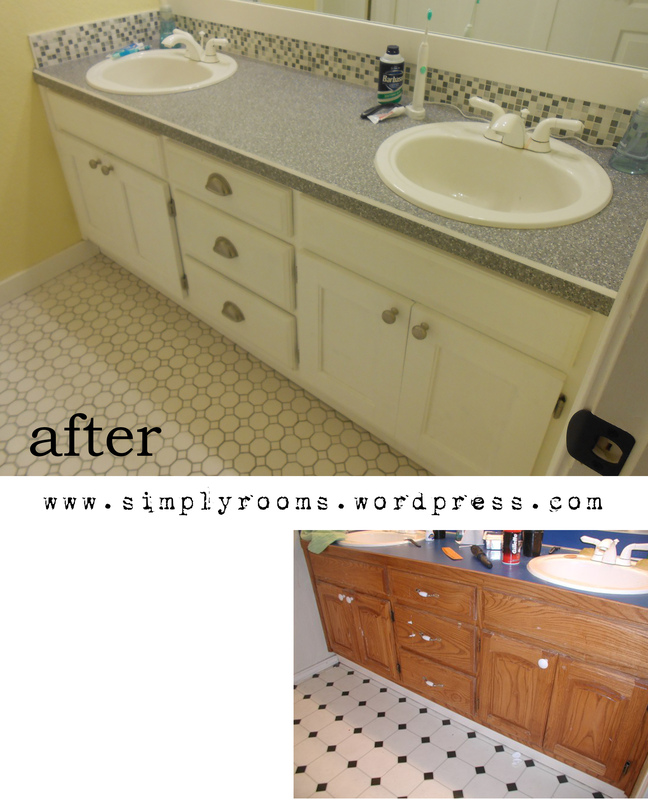 I wanted them replaced because I didn’t like the builders standard arch cabinets and wanted something that better matched the theme of the bathroom which was rectangular. I was going to buy them but the shipping alone was more than the doors! I talked to someone building them, but again thought it was rather high. Husband came to the rescue and just made them. 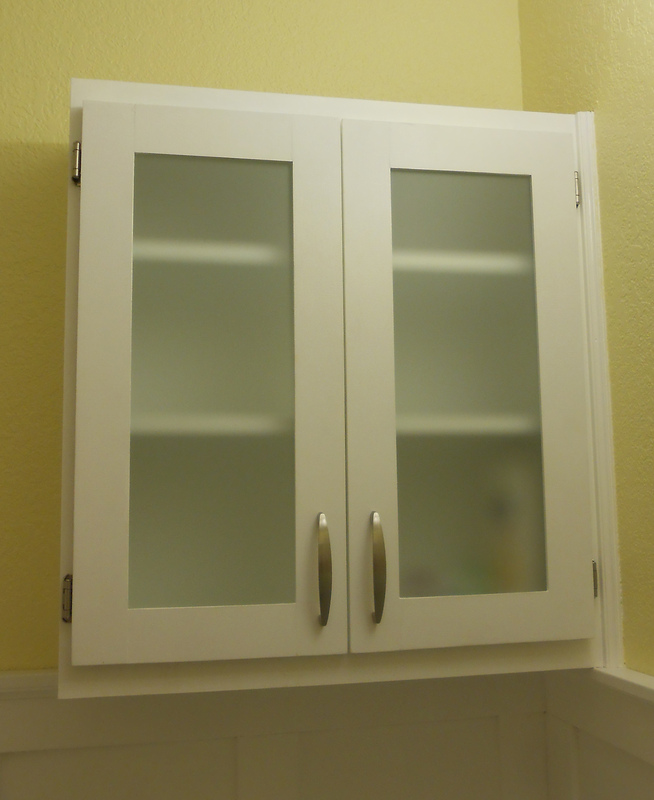 The overjohn cabinet went from arched wooden doors to painted white rectangular frames with frosted glass inserts. The frosted glass echoes the new mosaic backsplash tile which has a combination of frosted glass and marble squares. No construction pics as I wasn’t in town when he built them. To wrap it up we need to get two towel rings, one for each sink and a towel bar in the bath area. I want to get some bath mats but that pretty much wraps it up with a hamper. This is were builders and architects don’t think things through – this bathroom is really too narrow for a hamper, but a hamper we must have so it will go in the main area and be a bit of an eyesore. When designing rooms PLEASE think of function! Where will furniture, lamps, needed accessories go? ?